Is your rig ready for the wet roads ahead? Spring showers bring May flowers, but they also create hazardous and unsafe conditions on the road. Taking preventive measures will not only help keep you safe during rainy weather, but it can also save you money and time. Maintaining adequate tread depths is essential to driving safely in wet weather conditions. 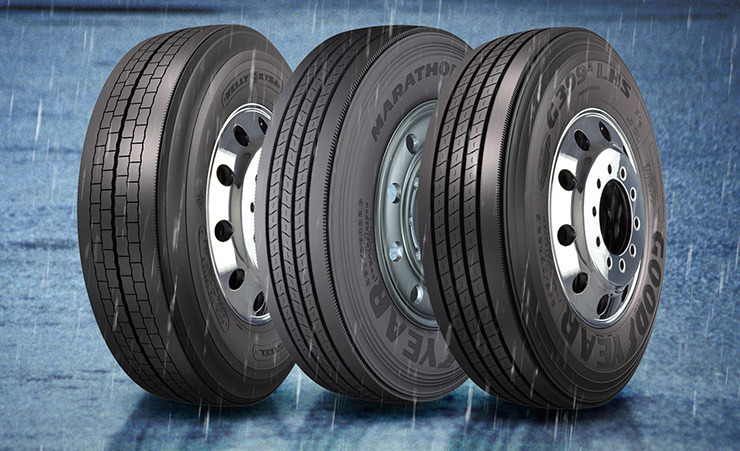 Proper tread depths help tires cut through standing water and subsequently help avoid hydroplaning accidents. It’s important to inspect your tires before you head out for your next route to ensure they meet or exceed the DOT tread depth standards. The DOT standard is 4/32 for steer tires, 2/32 for drive tires and 2/32 for trailer wheel positions. Checking air pressure levels regularly is another important part of driving safely in any environment, but especially in the rain. Operating a vehicle with improperly inflated tires causes the tire’s footprint to change, impacting its contact with the pavement. This can result in premature tread wear, reduced traction and less control, which is the last thing you want during a downpour. Making regular air pressure checks a priority can help eliminate future maintenance costs and keep you safer on your next route. Good visibility is essential when it comes to safe driving. In addition to tires, it’s important to check and ensure that your headlights, brake lights and windshield wipers are working properly. If rain is in the weather forecast, confirm that your lights are working not only so you have a clear view of the road, but to help other drivers see you. Before setting out on your next trip, verify that your windshield wipers are in good condition and able to wipe away any rain or possible debris that might fly your way during high winds or a thunderstorm. One of the simplest ways to increase safety while driving in the rain is to slow down. When driving on wet roads, stopping distances typically double. Slowing down will give you more time to react to your surroundings and allow you to account for the longer braking distance between you and vehicles ahead. Leaving more space between you and other vehicles on the road can help avoid collisions. Braking distances are increased on wet roads, and in the event you have to make a sudden stop or maneuver, the extra distance will provide you the space to do so. While we can’t control the weather, we can control how we prepare for driving during severe weather. Confirm that your tires have adequate tread depths and inflation levels, and make sure your lights and windshield wipers are functioning properly in order to increase your safety on the road. 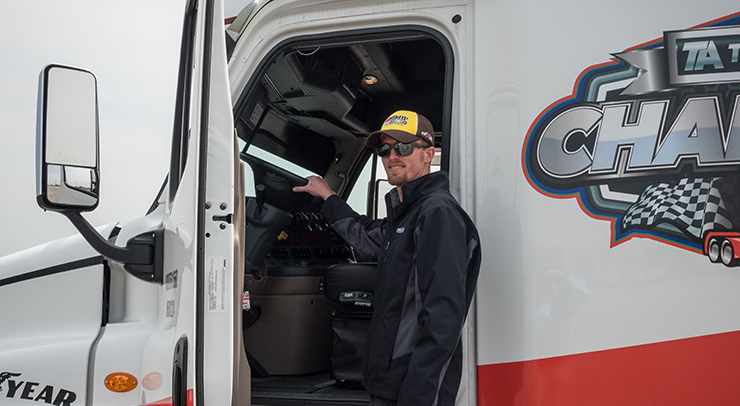 We’re sharing all of our driving safety tips to keep you safe on the road this Spring. Learn more.